Helping social housing providers sustain better neighbourhoods. Jamieson has worked with social housing providers for over 25 years and we know exactly what they expect from us. We understand the importance of quality workmanship, sustainability, completing on programme and within budget. 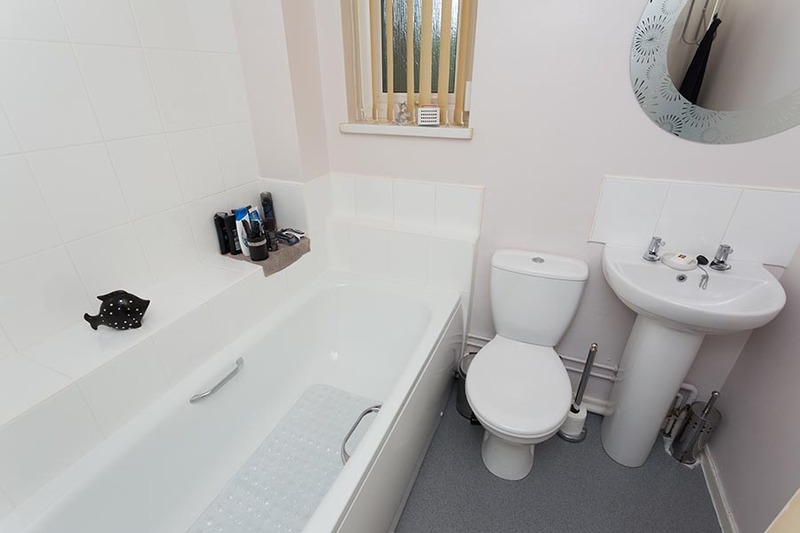 We also share the same insistence on health & safety compliance and all our people know the importance of sensitivity to the needs and feelings of social housing customers, especially when so much work has to be carried out within or near occupied homes. Our people will take time to understand customers’ individual needs, adapting most properties to create the right kind of access inside or outside and installing the best solutions for cooking and bathing. Our teams are directly employed by us, so you can expect them to arrive at the appointed time and carry out reactive repairs or planned maintenance quickly and to a high standard. They also understand how vital it is to treat customers with respect when in their homes, as they act as ambassadors for the housing provider. We normally supply products from named suppliers who have negotiated prices directly with the housing provider. However, we can also negotiate on your behalf with our own reliable, long established supply chain that has been developed over a number of years. This flexible approach can satisfy any client needs. 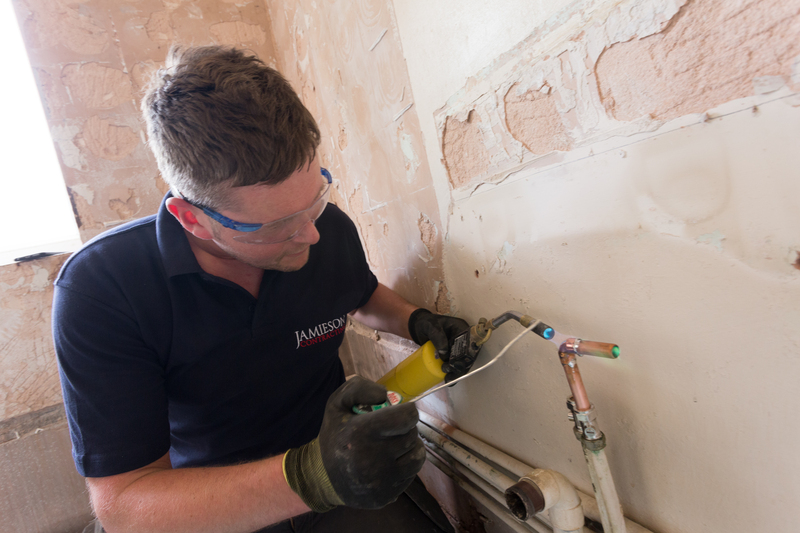 The Jamieson workforce is responsible for the planning and installation of the programme, always conscious of the need for friendliness and sensitivity if the property is occupied during the work. 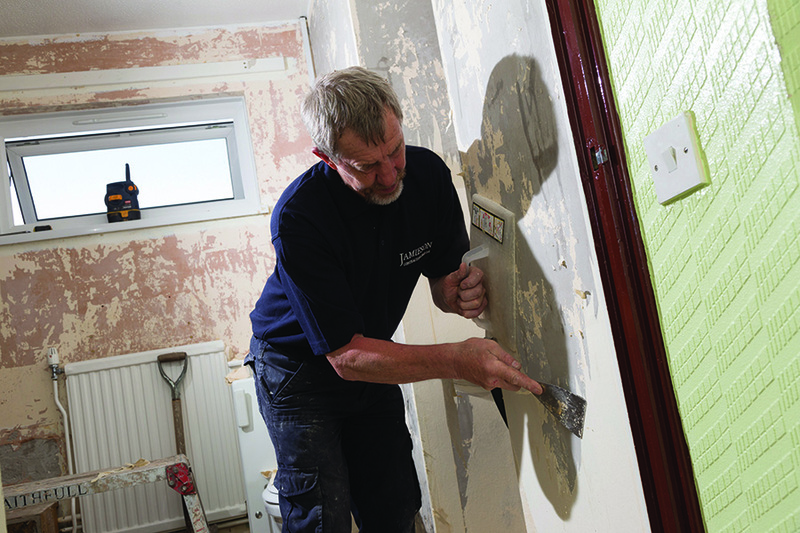 Jamieson teams are experienced in the refurbishment of older housing stock, usually to the Ideal Homes standard. Because our people work directly for us we can manage them efficiently, helping you to get the best possible return from your investment funds. We can put in multi-skilled teams under our direct management to turn round vacated properties ready for new occupiers quickly and cost-effectively, minimising the gap in your income. To give our clients, employees, partners and the many communities we serve, the confidence to trust and do business with us we must act responsibly. We always strive to meet and surpass industry standards and targets for sustainability, safety, and commitment to communities. The standards and practices we have in place ensure we act thoughtfully, wherever we are and whatever we’re doing. Our Code of Conduct is a clearly defined policy that we follow and applies to everyone we employ. We are also committed to working only with third parties whose standards are consistent with our own. This includes partners, customers, subcontractors and suppliers. By adhering to this policy and committing to this way of working, we ensure that everyone maintains the standards of professional practice that our clients have come to expect of us.